Here are 10 reasons to put Montréal at the top of your travel list; and remember, you don’t just visit Montréal, you live it! Montréal celebrated its 375th anniversary last year, and it is one of North America’s most dynamic and cultured cities. Between the amazing food, stunning architecture, and fun festivals, it’s the perfect destination to visit any time of year. Here are 10 reasons to put Montréal at the top of your travel list; and remember, you don’t just visit Montréal, you live it! 1. 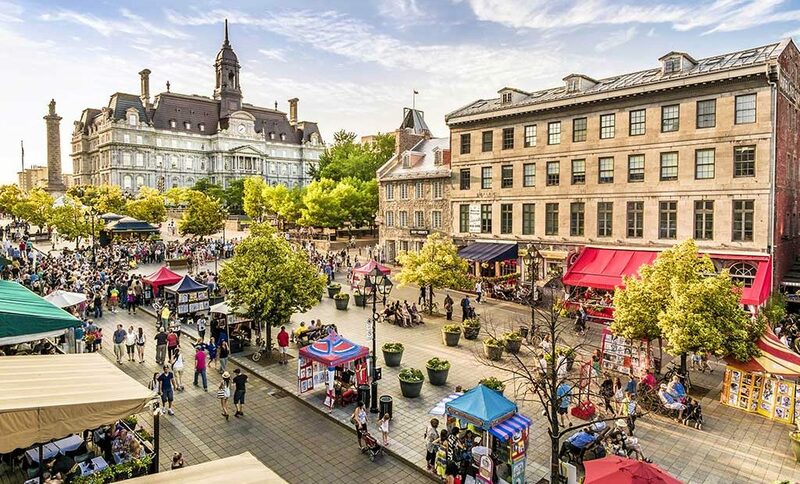 The Old European Charm – From the cobblestone streets of Old Montréal to the Notre-Dame Basilica (one of the jewels of the city), it is no surprise that Montréal is known for its old European charm. Stroll down the narrow streets of Old Montréal, and you will feel like you have been transported to another century in a quaint neighborhood of Paris. In the old Port of Montréal, you can explore cute little cafés and restaurants or just sit and people watch. 2. 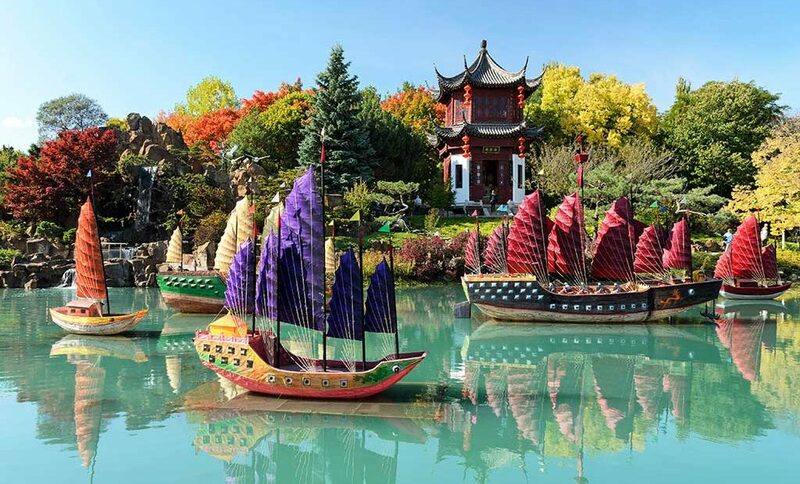 The “New” Montréal – While celebrating its 375th anniversary last year, many visitors discovered there are many new things to see as well. Among the places to see and things to do, there are new projects popping up, creative chefs and restaurants who are spearheading a culinary renaissance, and new public art all around the city. The city’s street art scene is blooming with murals and artistic graffiti in every corner. If you’ve never been to Montréal, you have to come see it for yourself. And if you have been before, you will be surprised by how much the city has been transformed. There is always something new to discover! 4. The Shopping – Montréal fashion, much like the city itself, is a unique mix between North American and European style. Montréalers are known for their style, and the city offers lots of shopping destinations to match. Rue Sherbrooke is where you want to go for some great shopping with international and domestic designers, luxury shops, and the high-end department store, Holt Renfrew. Rue Sainte-Catherine and the Eaton Centre Mall also have many retailers that will let you shop to your heart’s content. 5. The Underground City – Don’t let the rain (or snow) stop you from enjoying the city, which you can you can always do in Montréal’s famed underground city. The name “Underground City” (RÉSO) refers to the vast network of walkways below the streets of downtown Montréal. There are 32 kilometers (20 miles) of passageways connecting the subway system with hotels, shops, museums, universities, and skyscrapers. No visit to Montréal is complete without exploring the underground city, especially in the colder winter months, so you can avoid the harsh weather. Just make sure you don’t get lost! 6. Public Markets – If you love food, then you have to visit one of the local markets, especially if you’re keen on fresh farmers’ produce and local products. During the summer, the markets are busy and alive with all the different colored produce and flowers. 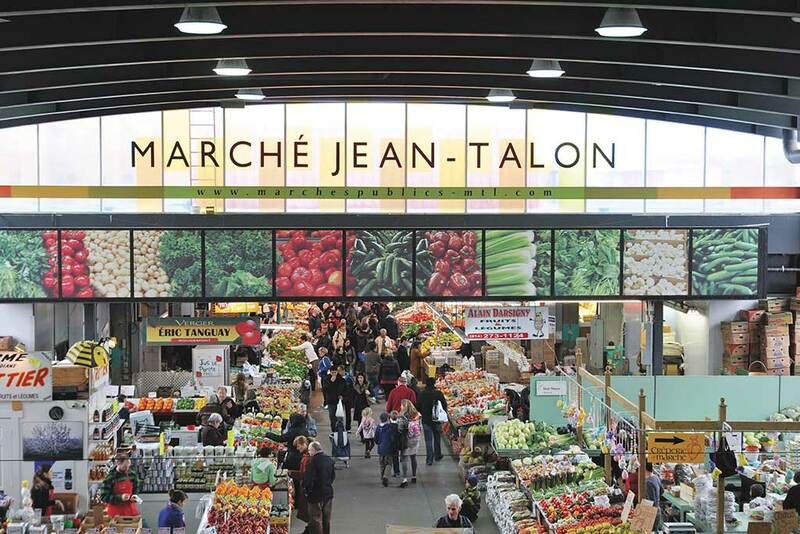 The Jean-Talon Market is one of the oldest and largest open-air markets in North America. Also, be sure to check out Marché Atwater and Marché Maisonneuve, both with their own unique character and local specialties vendors. 7. The Food – Montréal is one of the best cities to visit if you’re a foodie. 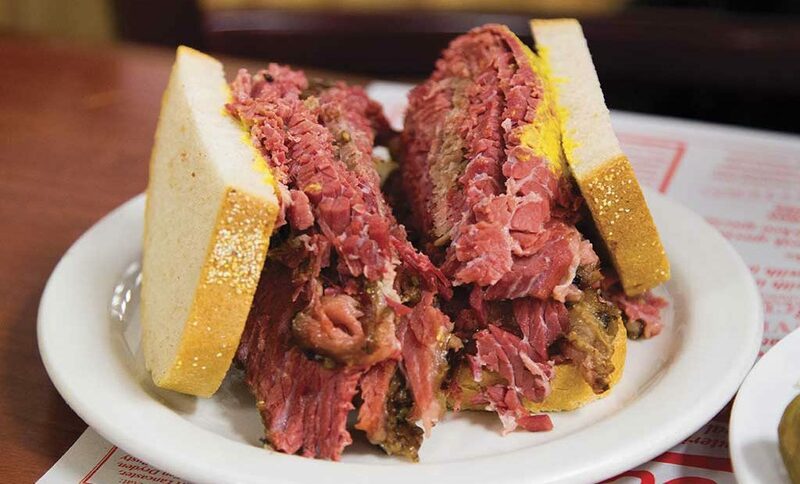 The dining options in the city are endless, whether you are seeking haute cuisine or local specialties such as smoked meat, maple syrup, Montréal bagels, or poutine. For the famous smoked meat sandwich, get in line at Schwartz’s on Saint-Laurent. For maple syrup, go to one of the many sugar shacks around the city. For Montréal style bagels (rivals of the famous New York style bagels), make your way to either St-Viateur or Fairmount in Mile End. For poutine, one of the nation’s most recognized food, check out the 24-hour hot spot La Banquise or Chez Tousignant by the The Jean-Talon Market. Montréal also hosts a wide range of food related festivals, including YUL EAT (September 10th through the 16th), a celebration of all aspects of gastronomy, featuring wine tastings, celebrity chef cooking demonstrations, food vendors, family activities, and a fleet of food trucks); and MTL à TABLE (November 1st through the 11th), which is Montréal’s restaurant week with restaurants serving specialty table d’hôte menus at a reduced prices). 8. It’s Bike Friendly – With 645 kilometers (400 miles) of bike paths, Montréal’s bike system is one of the most friendly in North America. 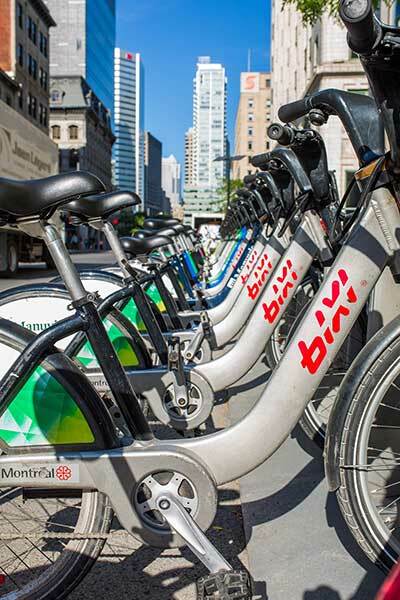 You can easily rent a bike from one of the city’s many BIXI bike stations. Just be aware that BIXI bikes are primarily meant for short trips of up to 30 mins at a time. Another option is to join a bike tour and explore the city that way. For bike tour options visit: https://spadeandpalacio.com. 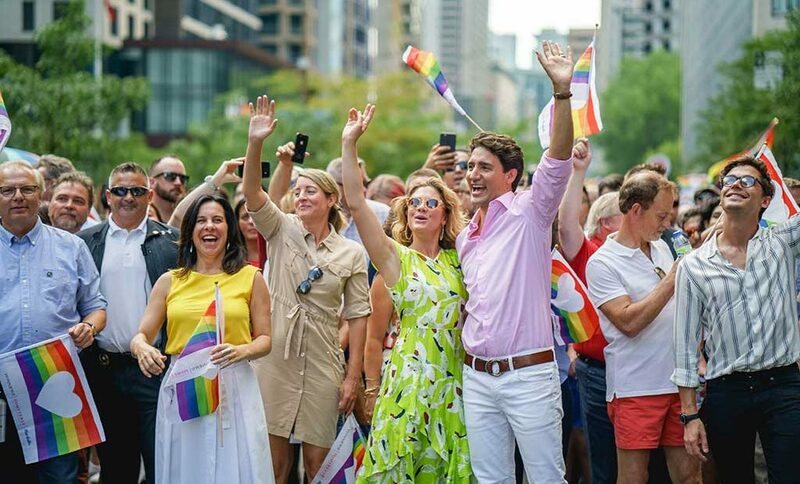 (They also offer a “beyond the village” walking tour of the Gay Village during Pride). 9. Outdoor Adventures – Surfing in Montréal? Yup. Montréal is not by the ocean, but it is located along the rapids of the Saint Lawrence River. KSF located in Montréal’s LaSalle neighborhood offers a selection of river-based excursions, including surf and SUP (stand-up surf) lessons. If surfing isn’t for you, H2O Adventures offers boat rentals so you can kayak or canoe up the Lachine Canal in calmer waters. There are also many parks and gardens across the city that you can explore, including Mont Royal, which was designed by Frederick Law Olmsted, the same person who co-designed New York’s Central Park. Consider biking and hiking up Mount Royal where you’ll find stunning city views. 10. 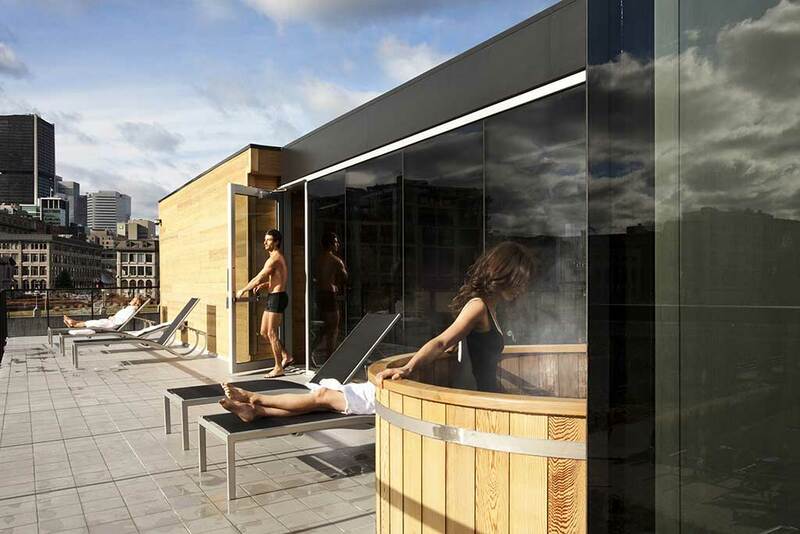 The Spas – After a day of shopping, sightseeing, and outdoor adventures, it is nice to know that Montréal has some of the best spas. Bota Bota, located in a converted barge turned upscale in the Old Port, offers a complete water circuit and magnificent view of the city. Another option is at Scandinave les Bains in Old Montréal. 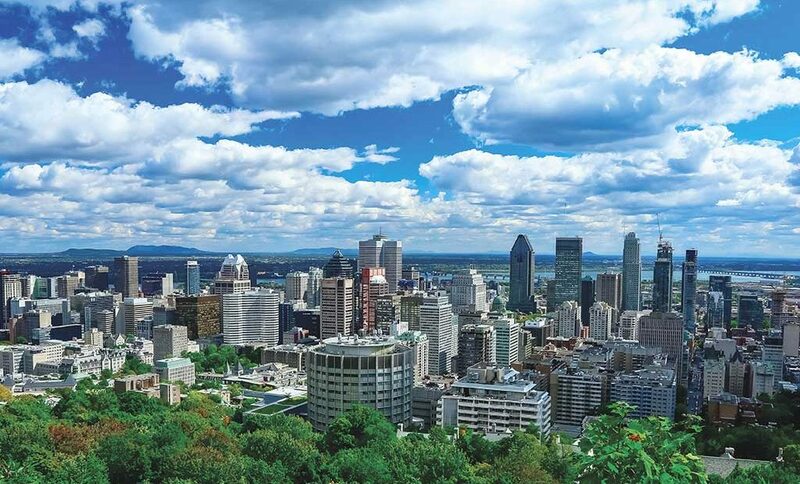 After some relaxation, you will be refreshed and ready to continue exploring the great city of Montréal. This article was written by Barry Hoy (aka asianmapleleaf),an ambassador of all things travel. Barry was born and raised in Toronto and currently lives in New York City. Follow his adventures on asianmapleleaf.com or on Instagram @asianmapleleaf.